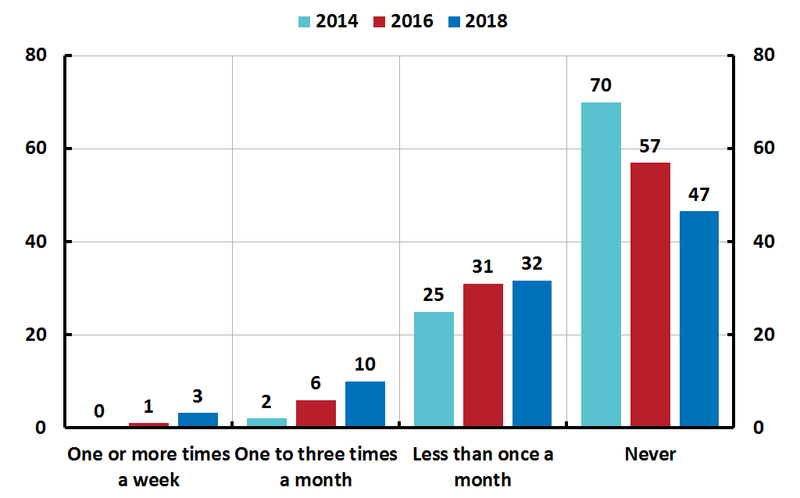 Every second year the Riksbank carries out an interview survey to obtain a picture of payment patterns in Sweden and how they change over time. 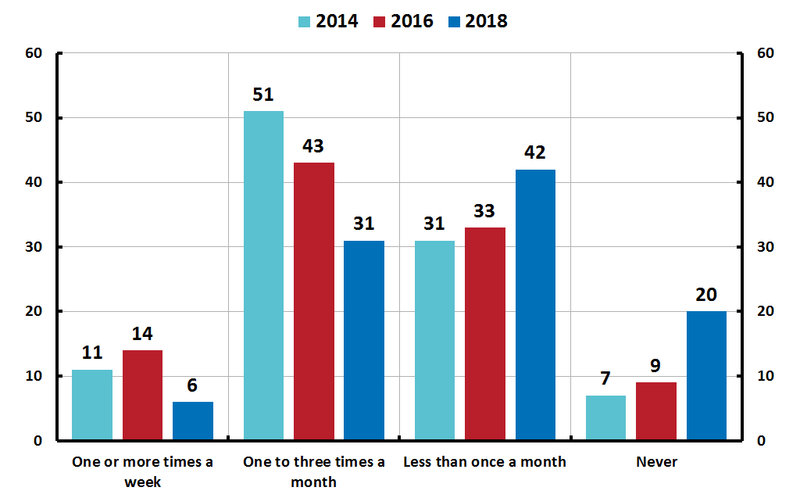 The latest survey was conducted in the spring of 2018 and the results from Payments patterns in Sweden 2018 are presented below. 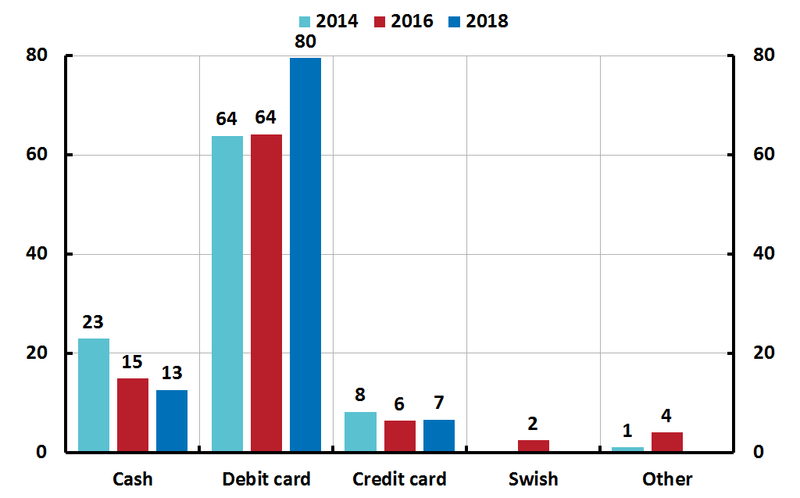 Swedish households are increasingly using electronic means of payment such as bank cards and Swish, at the same time as the use of cash is declining. Debit cards are still dominant among electronic means of payment. This is shown by a survey that the Riksbank carried out to get a better understanding of the Swedish population's payment habits. Every second year the Riksbank carries out a survey to obtain a picture of payment patterns in Sweden and how they change over time. In the survey, a random sample of 2,000 individuals in the age group 16-84 were interviewed. This year’s survey has been supplemented with an in-depth study of rural areas to chart how payment patterns there differ from the national average. The supplementary survey consisted of around 500 interviews. Which means of payment have you used in the past month? The use of Swish has increased very rapidly in recent years. 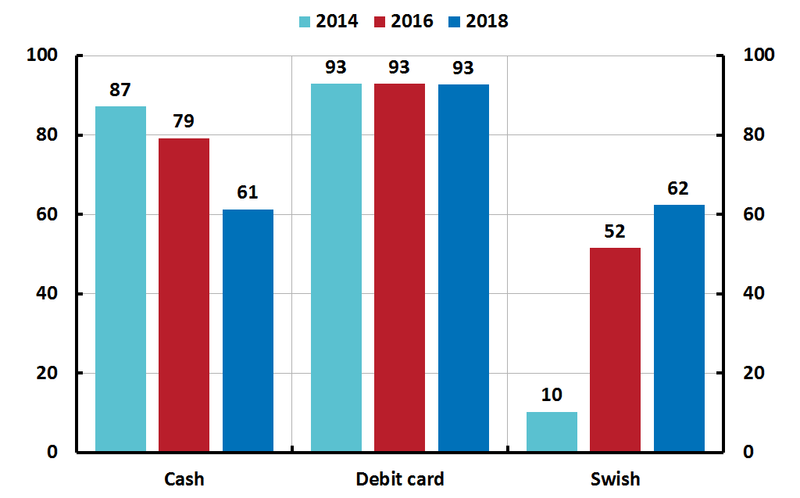 Parallel to the increase in popularity of Swish, the percentage of households stating that they used cash during the past month has continued to decline. 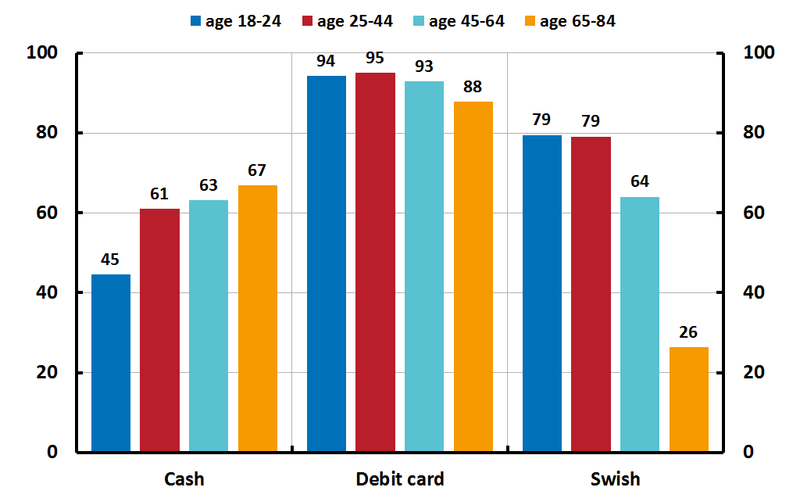 Younger people use cash to a lesser extent than older people, preferring electronic payments such as Swish. How did you pay the last time you bought something? Card payments using debit cards retain their position as favourite among Swedish households. Mobile payments such as Swish are still used to a very limited extent for purchases in an actual shop. For eight years, the percentage of respondents paying in cash has declined from around 40 per cent to 13 per cent. How often do you withdraw cash from an ATM or cash desk at a bank? The number of cash withdrawals from ATMs and bank offices is continuing to decline. Withdrawals of cash from shops (cashback) are also made less often. How often do you experience that the shop where you are making a purchase does not accept cash? To gain an idea of the retail trade's acceptance of cash, a question was asked about how often households experience that the shop where they are making a purchase does not accept cash. Almost half of the respondents never experience problems paying in cash in a shop. Although relatively few experience problems paying in cash, this problem is arising more often now than in earlier surveys. Problems paying in cash in shops are less common in rural areas. Half of the respondents were positive or very positive to the decline in the use of cash, while 27 per cent were negative or very negative. 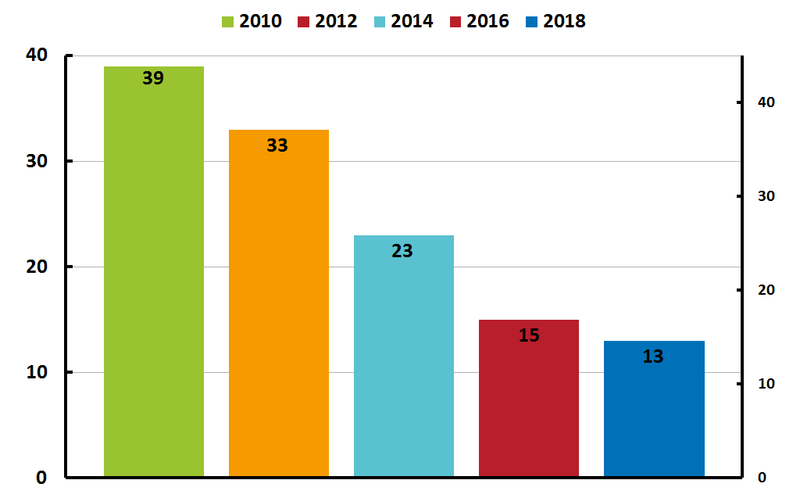 The number of respondents with positive attitudes had increased and the number with negative attitudes declined in relation to 2016. In rural areas, the percentage with a positive attitude to developments (33 per cent) was almost as great as the percentage with a negative attitude (35 per cent).